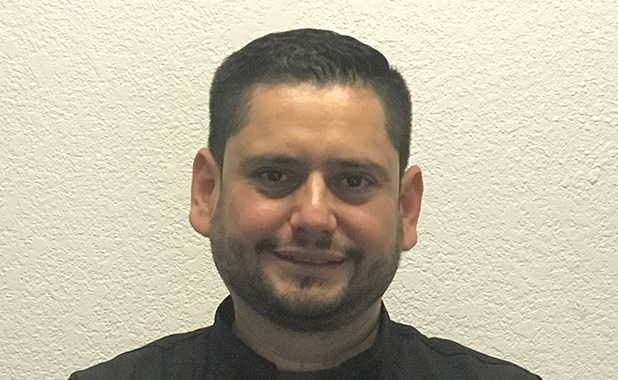 Born in Guadalajara Mexico and raised in our beautiful Coachella Valley, Chef Nestor brings his home-grown Palm Springs talent to Trio Restaurant. He is a natural leader and a talented chef, providing our guests with the freshest and locally sourced cuisine to provide a memorable dining experience. He has 20 years of experience specializing in high-end steakhouses, including Morton’s of Chicago, N9NE Steakhouse, and Ruth’s Chris Steakhouse, and was formerly executive chef and co-creator of Mélange Restaurant at Lake La Quinta. Chef Nestor focuses on creating exquisite meals while incorporating balanced flavors and aromas that are enhanced with distinct wine pairings.